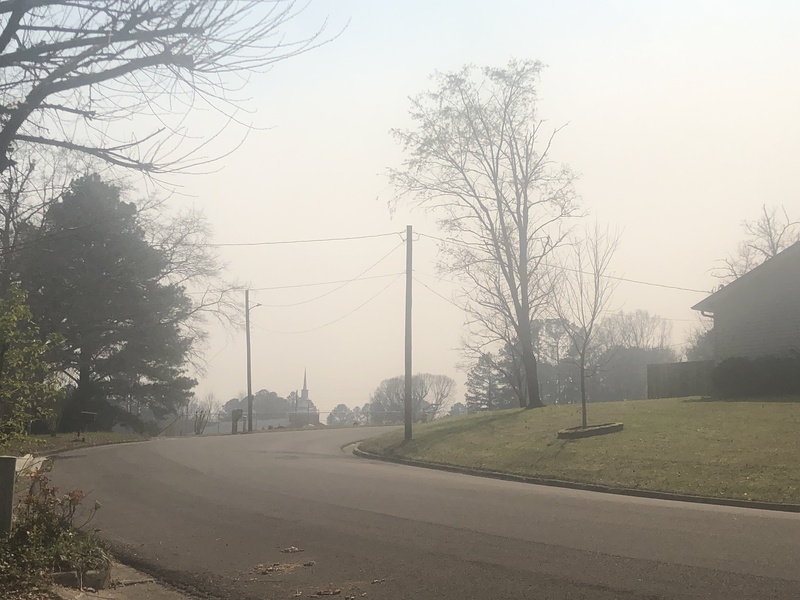 CULLMAN, Ala. – Many have noticed the smoky skies over parts of Cullman county throughout Friday but according to Cullman Fire Chief Bradberry the smoke is from controlled burns outside Cullman city limits. “There’s a Forestry Department controlled burn toward the Bankhead Forest that is causing the smoke coming through the city,” said Bradberry. Additionally, the Hanceville Fire Department has been conducting a controlled burn near that city; the the department has responded to a small grass fire reported on CR 522. Firefighters are on the scene and seem to have things under control. Bradberry and Hanceville Mayor Kenneth Nail indicated that the controlled burns and fire do not appear to pose any current danger to surrounding areas.